BigJuiceUK print custom labels on Epson ColorWorks printers supplied by ERS that go on our bottles which hold important product information and need to be water resistant, durable and highly adhesive. Epson C3500 and C7500 Colour Label Printers and the necessary inks and media. I needed a printer that was fast and gave high quality labels, it had to be cost-effective and produce professional labels to enhance my brand. I also needed durable labels to work well with the printers to ensure that I was getting the best quality output possible. The printer had to give me flexibility to customise the design of the label output and then be able to print large quantities on the fly. I do - every week because of the good service I've received so far! How do they work in your company? BigJuiceUK print custom labels that go on our bottles which hold important product information and need to be water resistant, durable and highly adhesive. 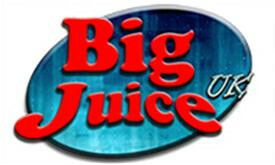 BigJuiceUK is an E-Liquid Manufacturing company, specialising in the development, production and supply of Flavours and E-Liquids, to the consumer directly, and also supplying E-Liquids, Flavours, and its components separately to E-Liquid chains and shops around the UK. They create a product that meets all the standards required to enable it to be used safely by consumers. or Give us a call on + 44 (0) 1234 855300 for all Epson Colour Label Printers and Consumables.